Jewelry is a prime example of an item that benefits tremendously from being insured. Not only is jewelry valuable, but it is also small and portable which makes it easy to lose or to steal. So whether you have a diamond ring, gold necklace or expensive earrings, taking out portable items insurance for your jewelry is something that you should definitely consider. Its high value and ease of theft makes jewelry a good example of something that should be insured. However, under a standard home insurance policy, insuring jewelry is subject to two default limitations. The first, is a dollar limit coverage, which is usually set at $1000 per claim. This means that no matter how many items you have insured under a standard home insurance policy, you will only receive a maximum of $1000 for your combined loss from your insurer. The second limitation inherent in property insurance policies, is that there is no coverage for the loss of a stone/jewel from its setting. So if someone steals the diamond out of your wife’s ring, but leaves the ring itself, you will not be covered under your standard homeowners insurance policy. If you have expensive jewelry, or a lot of items which you have accumulated over the years, it’s advisable to take out extended coverage as the regular coverage you receive is unlikely to be sufficient. One of the simplest ways to do this is to extend the dollar limit that you are currently receiving on your jewelry. The result of this will be that you are insured against a greater amount of loss, and so will receive more money from your insurer if a loss were to ever occur. A standard home insurance policy covers your jewelry up to a set dollar limit, but this limit may not be enough for items of high value. In general, most insurance policies will allow you to extend the dollar limit to $5000-$10,000, although the exact limit will vary between different insurance companies. There are some disadvantages to doing this, however, as although your dollar limit coverage will increase, you won’t be given broader causes of loss coverage. In other words, if your loss was caused by something that is not listed in your policy agreement, then you won’t receive compensation for it in the event that you make a claim. It’s important to be aware of what exclusions there are in your policy as they will prevent you from being compensated for certain losses. There is also the disadvantage of having a per-piece limit of $1000-$1500, which can make insuring very expensive items difficult. 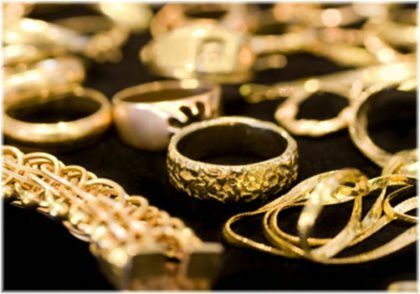 In addition, you must also be able to prove the value of your jewelry to the insurance company in the event that it is lost. This can be particularly difficult to do for rare or unique jewelry. An alternative strategy for insuring jewelry is to specifically list an item in your homeowners insurance policy, something that is also referred to as “scheduling”. Scheduling jewelry has several advantages over just increasing the dollar limit coverage, because it provides you with coverage against virtually any kind of loss. There are a few specific exclusions, but overall, you will get a much broader level of protection against uninsured losses. Scheduled item insurance protects valuable items from virtually all causes of loss. There is also the advantage of having no deductibles, and because you must prove to your insurer the value of the jewelry you wish to insure before you insure it, there will be no difficulties in making a claim and having to prove how much something was worth. The main disadvantage of scheduling your jewelry is the extra effort you must make to get your jewelry appraised for its value. You will also not receive inflation coverage if the value of your jewelry increases over time. You can, however, get it reappraised each year to keep your coverage limit current. But this means extra effort on your behalf and an additional ongoing expense. 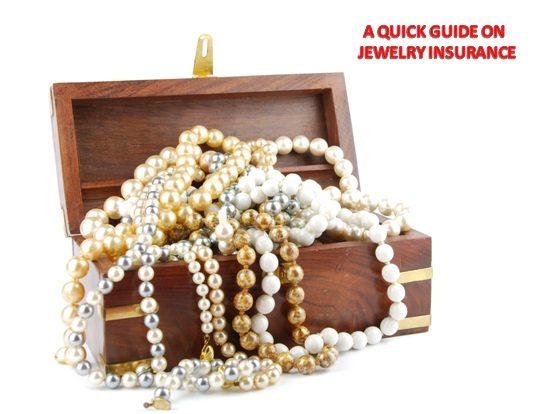 Do You Need To Insure Your Jewelry? 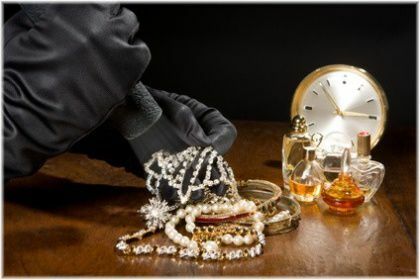 Because jewelry is so easy to lose and a prime target for theft, it pays to mix some non-insurance strategies with your insurance strategies. For example, if you don’t wear a particular piece of jewelry very often, perhaps because it has been passed on through the family, you might want to consider either passing it on to your child now or storing it away in a safe deposit box. The same applies for very expensive jewelry. As unless you are wearing it often, it’s usually best to keep it in a secure location and only take it out when needed. As long as you keep your jewelry in a secure location you don’t always have to insure it. 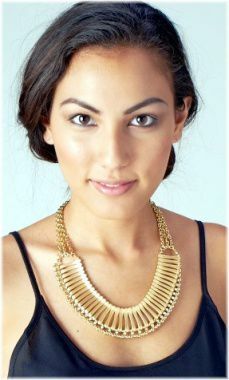 For jewelry that is less expensive, and that you wear often, you may not want to take out extended coverage on it at all. This is especially true if you would not bother to replace an item if it was lost or stolen. For items worth $1000 or more, they should be scheduled to provide you with sufficient coverage to cover their value. For items under $1000, it’s advisable to add up the total value of all your jewelry and then raise your dollar limit coverage high enough to adequately insure them all. In order for your ring, necklace or bracelet to be properly insured, you will need to get it valued so that your insurer can determine its true worth. This, however, tends to be most common for scheduled items for high value jewelry. For less expensive items, valuation is not usually required as it will be covered under your standard policy agreement anyway. Your insurer may require your jewelry to be professionally appraised in order to determine its current value. 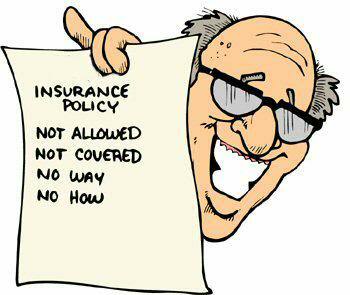 Be warned though, that all insurance companies require you to prove the value of any jewelry you claim for. So even if they do not ask for the value of your items when you sign up for a particular policy, they will eventually ask if you ever make a claim with them. It is therefore in your best interest to get your jewelry properly appraised, as this will greatly minimize the risk of you having problems later on. How the valuation process occurs can vary, although in general, it will involve looking at as many different aspects of your jewelry as possible. 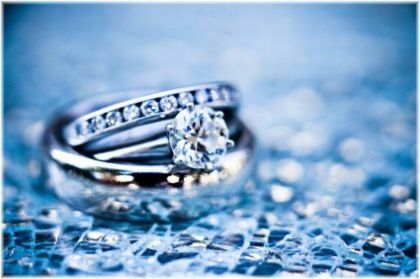 For example, if you were looking to insure an engagement ring that has been passed down through the family, then a valuation might involve cleaning the ring, looking for hallmarks, weighing the ring, valuing any precious stones it contains, taking photographs, and seeing if there are any other similar rings on the market and how much they are worth. Jewelry appraisal involves making a detailed assessment of your item. The final valuation will then be used by your insurer to determine how much your item is worth, and ultimately, how much they are willing to insure it for. For you as the owner of an item, you obviously want this valuation to be as high as possible because that will mean you receiving more money in a claim settlement. As a result, you may want to carry out your own valuation just to ensure that the value of your jewelry has in fact been properly determined. 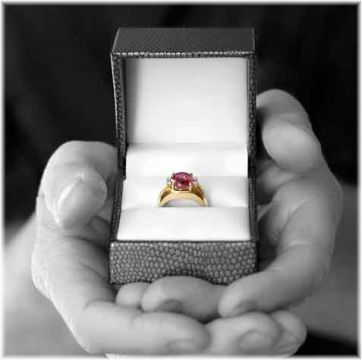 Getting your own valuation carried out on your jewelry helps you to double-check your insurer’s valuation. As a result, this will also help you to take out the right level of coverage that is required. 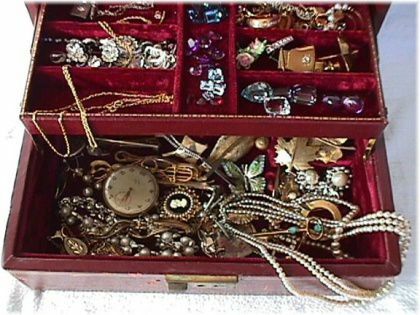 If you have a lot of items in your home, your first step should be to sort through all the jewelry that you have and then determine what you would like to insure and what is not worth insuring. If you aren’t sure what to insure, start by sorting out your jewelry so that you can determine what’s worth insuring and what’s not. 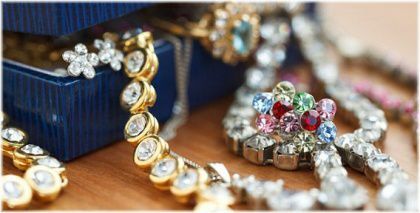 Sorting out your jewelry into categories will quickly show you what you have and what could be worth insuring. How you then go about valuing your items can vary depending on the type of jewelry that you are dealing with. The two most common types of valuations are for precious metals, such as gold, and precious stones, such as diamonds. If you are dealing with gold jewelry, the value of this tends to be based on carat gold value. In other words, the more gold it contains the more valuable it will be. 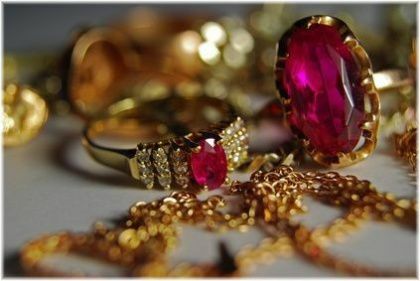 However, you may find, especially with older or rare gold jewelry, that their uniqueness or history can add significant value to them. 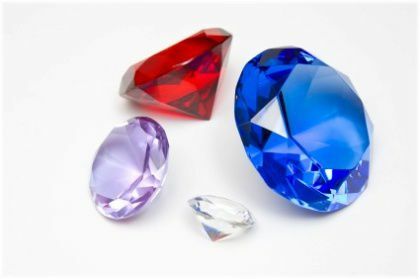 The presence of precious stones, such as diamonds, can also increase value. Although gold can be valued on the basis of its carat value, the presence of precious stones or historical significance can also add to its value. With most types of gold, however, you can get a good idea as to how much it is worth by looking at similar items for sale in jewelry shops or on the internet. Taking your gold jewelry to a jeweler can also be a good way to get a valuation, as they will be able to take into account many different factors such as gemstones, carat and age when determining how much it is worth. This is something that doesn’t happen if you sell your gold for scrap, as this valuation tends to be based only on the carat gold value. 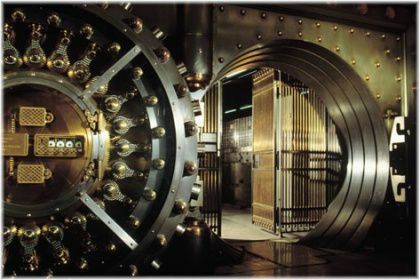 This could result in you losing a significant amount of money, especially if your item has gemstones or historic value. 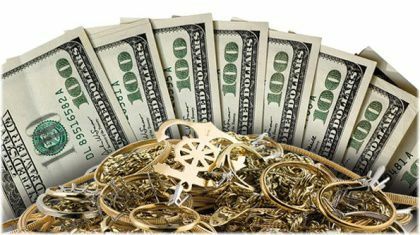 Selling gold for scrap is generally not the best option unless you are selling modern pure gold jewelry. 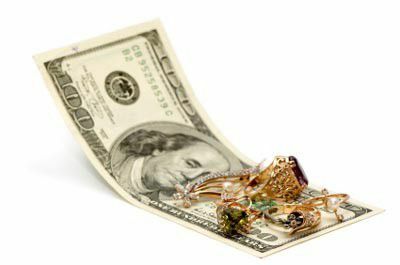 However, if you are dealing with an item that is very expensive, or very old, your best bet for getting an accurate valuation is to pay for an independent jewelry appraiser. You can then use the value they give you to compare with the valuations you have received from other sources and from your insurance company. Note: You can visit the NAGs Institute of Registered Valuers website to find a registered valuer. Silver jewelry is valued in a similar way to gold jewelry. When it comes to silver jewelry, the valuation process that applies to gold also applies to silver. Silver jewelry tends to be valued primarily on its silver content, although, like gold, the presence of precious stones or its historic value should also be taken into consideration when determining how much something is worth. Gemstones over five carats will require professional appraisal to determine their value. When valuing gemstones, anything that is less than five carats can be taken to your jeweler for a valuation, or alternatively, compared to a similar item that you find online. 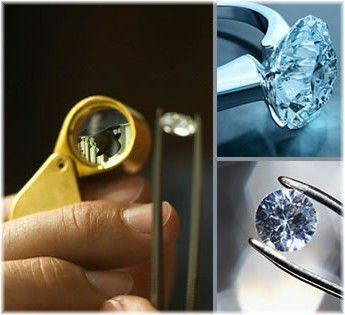 For items over five carats, however, you will need to pay for a certified jewelry appraiser to get a proper valuation. Overall, when it comes to finding out how much your items are worth you will find that the less expensive it is, and the newer it is, the easier your jewelry will be to value and insure. But the older your item is, and the more expensive it is, the more difficult it will be to value and the more expensive that valuation will be. It’s always easier to value new and common jewelry than it is old and rare jewelry. If you do decide to get a professional valuation on your jewelry, be advised that it can take up to a month for your item to be fully appraised. So if you need to insure your item by a certain date, such as by Valentine’s Day for a gift that you are giving to your wife or girlfriend, then it’s best to carry out the appraisal as far in advance as you can so that you can receive insurance coverage from that date. The whole purpose of insuring your jewelry is so that if it’s ever lost or stolen you will be compensated for that loss and will not suffer financially as a result. However, the type of compensation that you receive for lost items can vary depending on your insurer, although generally, you will either receive a replacement item or be given a cash equivalent instead. If your item is lost or stolen your insurer will usually give you a replacement, although in some instances, they may offer cash. But things are not quite as simple as just getting a replacement or getting cash, and this is not something that most people are aware of until they go to make a claim. If your diamond necklace was stolen, for example, and you go to your insurer expecting to receive a cash settlement claim, they may refuse and only offer to replace your lost necklace. This tends to be quite common practice amongst insurers for several reasons. The first, is that by giving out replacement items this helps to cut down on jewelry insurance fraud, as people are less likely to make a fraudulent claim if they know that they will not be receiving money in return. Insurers like to offer replacement items rather than cash as they feel that this helps to reduce fraudulent claims. Secondly, jewelers can save money fulfilling claims by giving out replacement items because they can buy replacements at wholesale prices. Basically, this means that they can replace your lost necklace with another necklace of lower value. There are, however, people who are unhappy with receiving replacement items rather than cash for a number of reasons. The first being, that getting a less valuable piece of jewelry in replacement for something that was more valuable can make people feel as though they are being cheated. Secondly, and perhaps most importantly, if you have lost a very rare or old piece of jewelry, then there is unlikely to be anything similar to it which the insurer can use to provide you with a replacement. If your item is one-of-a-kind your insurer might not be able to provide a suitable replacement. In such cases, cash should be asked for. If the insurer does try to provide you with a replacement, it will usually be with something of substantially less value than your original item. However, for newer or more common pieces of jewelry, this tends to be less of a concern as your insurer will usually be able to find a suitably priced replacement. So the best way to ensure that you get a fair claim settlement is to get your jewelry properly appraised, and then to make sure that your insurer is aware of this valuation and accepts it.